In the Horizon programme, 'Where is flight MH370?' Professor David Stupples explains the radar and communications technology surrounding the missing Malaysia Airlines Boeing 777 aircraft. 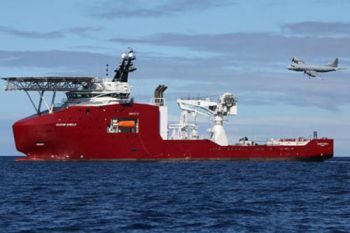 Professor of Electrical and Electronic Engineering, Professor David Stupples, appeared in the BBC 2 Horizon documentary, 'Where is flight MH370?' aired on 17th June. The hour-long programme explains the inside story of the search for the Malaysian Airlines Boeing 777 aircraft which disappeared on 8th March. 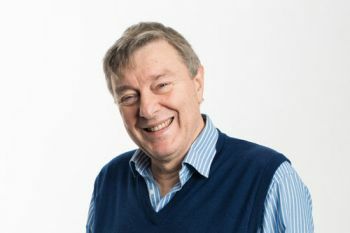 Professor Stupples, who specialises in the research and development of networked electronic and radio systems, also advised on Horizon's technical content and prepared graphs and diagrams. "The range of primary radar is limited by the amount of power that it can put out. The electromagnetic pulse of the radar has got to travel all the way out there [to the aircraft in the sky], bounce off the aircraft, and then travel all the way back, therefore the power when it gets back is going to be very low indeed." Professor Stupples demonstrates how flight MH370 entered a 'primary radar blindspot' when Ho Chi Minh City air traffic controllers lost contact with the aircraft when it left Malaysia's airspace. The Horizon programme also reveals what investigators believe happened to the aircraft in its last minutes; how the area in which it could be found is still to be searched; and examines new technologies such as black box streaming and enhanced air traffic surveillance, which hopefully will prevent such a disappearance from ever happening again.